There’s lots of bang and fragrance for the buck in this compact, late-flowering star. 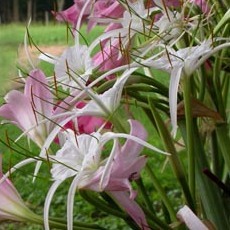 This crinum is extremely rare in the nursery trade. Here’s an interesting fact: this is the flower on the cover of our book, Deep Rooted Wisdom. Growing Conditions: This plant requires some shade. Flowers: These are very fragrant flowers. 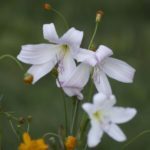 During rainy summers, flowering is a bit more sporadic. The long, straight, mauve-pink buds are deceptive, because they soon open to pale pink, re-curving clusters. Flowering Season: In our area (Zone 8), this one normally flowers late – October and November. Leaves: These elegant, dark-green leaves reach a length of approximately two feet. 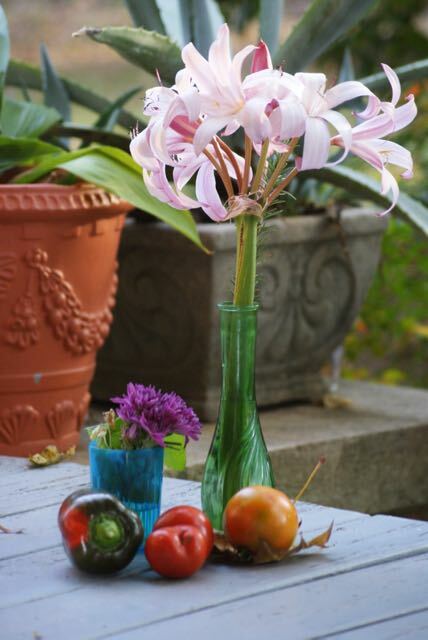 How To Plant: Because this is a smaller crinum, the bulbs never get very big. 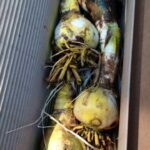 They should be planted at a depth of just six inches. 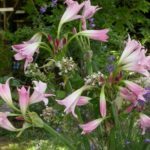 Where To Plant: This is the best crinum for a patio pot (or other container). 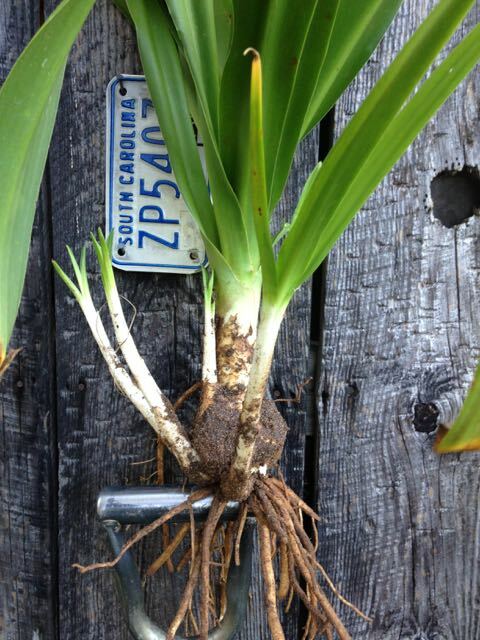 Our Bulbs: This cultivar never develops a big bulb. We ship flowering-sized clumps. 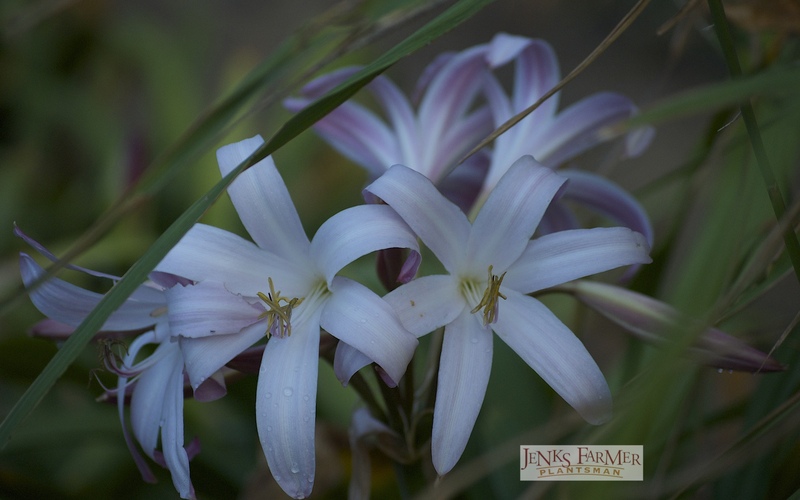 Be the first to review “Crinum ‘Jubilee’” Click here to cancel reply.